The weekly outlook is back after a one week hiatus. A thank you to all my readers for their well wishes. We ran into some selling pressure while I was away, but nothing that derailed the current rally. All the market indexes start the week above their 20 and 50 day moving averages. Price and volume action hasn’t changed much in the past month or so. Distribution days come and go from the count, which remains slightly elevated. 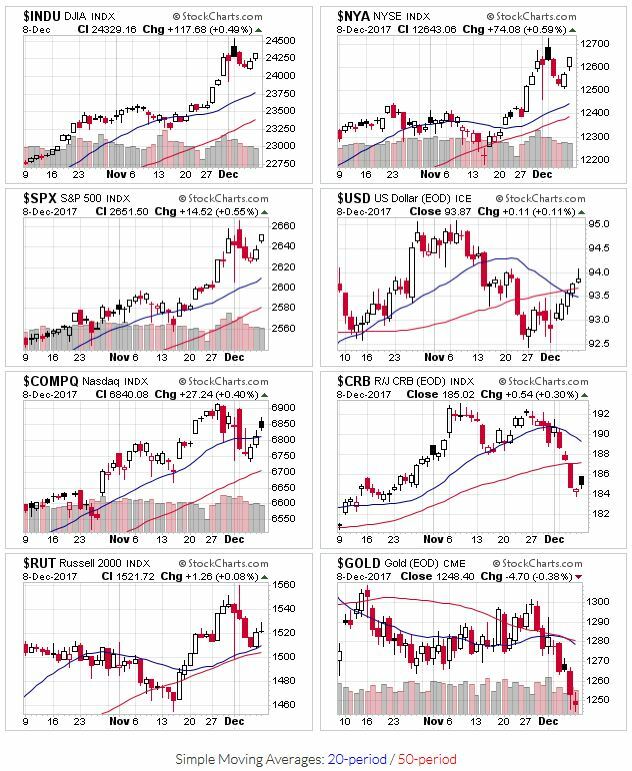 Many leading stocks are still extended, but last weeks selling did knock some back into base building mode. OEW uptrend signals remain in place as of Thursday’s close, although there are signs the recent rally has topped. Tony is facing some health issues of his own, so OEW has been offline since Thursday.